The 2010 Annual Report of the Social Security Trustees was issued on August 5, 2010 with little attention and notice. The report covers both Social Security and Medicare. According to the Trustees, the additional Medicare taxes and reduced reimbursement rates for doctors treating Medicare patients contained in the health care reform legislation extended the solvency of Medicare by 12 years to 2029, and Social Security is expected to last until 2037. It all sounds good, but the dirty little secret in Washington is the Social Security Trust Fund does not exist. Think of this situation. Imagine that I made $1 million dollars a year, but I spend $2 million each year. Fortunately for me, my grandfather left $10 million in a trust fund for my benefit. To cover my excess spending, I borrow $1 million each year from the trust. At the end of 10 years, the only assets owned by the trust are the $10 million of promissory notes due from me. I can claim that I have a trust fund worth $10 million, and technically this is correct. However, if the only assets of the trust are the notes that I owe it, what’s it really worth? The only way I can draw more money out of the trust is if I pay the cash into it. I have a trust fund worth $10 million on paper, but I really have nothing of value. I spent it all. This is exactly the situation of the Social Security Trust Fund. According to the 2010 Annual Report, the Social Security Trust Fund has over $2.2 trillion dollars in it. There’s only one hitch, the entire $2.2 trillion consists of notes issued by the U.S. Treasury. Like my illustration with the $10 million trust fund, the U.S. Government owes itself. What do you think of when you hear the term “Social Security Trust Fund?” It’s easy to conjure up an image of a huge vault at Fort Knox piled high with cash or gold. If only it was true. In reality, the Social Security Trust Fund is nothing more than an accounting entry on the books of the U.S. Treasury. If you want a better understanding of how the Social Security Trust Fund was actually operates, read the article Misleading the Public: How the Social Security Trust Fund Really Works by the Heritage Foundation. I acknowledge that the Heritage Foundation is a conservative think-tank. While you may not agree with their political perspective or opinions, I think they accurately describe the functioning of the Social Security Trust Fund. Lest you read what I’m not saying, I am not suggesting that Social Security payments will cease in the near future. I’ll discuss the sustainability of Social Security in an upcoming article. Just realize that benefits may continue to be paid, but they won’t come from dollars that are stashed away somewhere just waiting to be tapped. 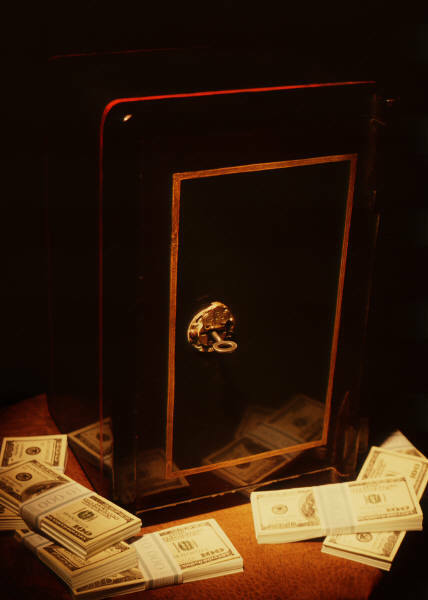 My objective today is to pull back the curtain on the fallacy that there is $2.2 trillion of actual money in a trust fund, or as politicians like to refer to it… a lockbox. To me, the Social Security Trust Fund has been treated much more like a Congressional cookie jar than a lockbox. In my opinion, one of the greatest travesties of the modern age is the lack of information and misinformation regarding this matter. Politicians of all political affiliations and persuasions have mostly been silent on this issue. Newscasters are also complicit, as they report the solvency and repeat the political claims without taking time to truly understand or evaluate the situation. I believe if most Americans understood the situation, they would be outraged. For years Congress has been able to use the excess Social Security taxes for other spending. They have pushed the problem into the future, but I believe the day of reckoning is coming soon. I’ll delve into that topic in the next post. It can be unnerving to know that the Social Security Trust Fund is nothing more than paper IOU’s by the government to itself, but the next time you hear or read something about the Social Security Trust Fund, take note of what is being said and what is not. You have the information. It’s up to you what you do with it.